The Dubai Design and Fashion Council (DDFC) has signed an agreement with the DIFC Dispute Resolution Authority (DRA) including DIFC Courts, for wider adoption of the English language in international law courts system by Dubai’s fast-developing design and fashion sector. As design entrepreneurs start up and compete across the region and beyond, they are reliant on key partnerships for talent, funding and materials, reported Emirates news agency Wam. These need to be protected to enable businesses to trade securely and grow. 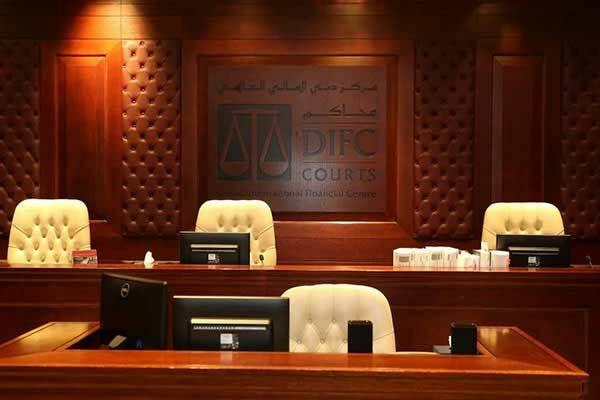 By opting in to DIFC Courts Small Claims Tribunal, SCT, using a standard contract clause, enterprises will benefit from its proven capacity to resolve disputes amicably and fast in English, with 85 percent of cases settled within four weeks. Amna Al Owais, deputy chief executive at the DRA, said: "As Dubai is transformed into an international design and fashion hub, new enterprises need protection to innovate and trade securely as well as to safeguard the intellectual property that is their lifeblood. Adopting DIFC Courts as a jurisdiction of choice will give them the ability to draw up English language contracts that can be understood, negotiated and enforced in every corner of the globe." Jazia Al Dhanhani, DDFC chief executive officer, said: "Most designers go into business with a dream and a vision. Sadly, some then go on to struggle with disputes that are too difficult or expensive to resolve. Through our cooperation agreement we can give our design community a rapid and cost-effective way of protecting their brands, creations and livelihoods. At Dubai Design and Fashion Council we want to enable them to focus on what they do best – building successful creative businesses."